Moving can be an expensive process especially if you have more furniture and boxes than what you can manage on your own. That is why our man with a van firm offers an excellent range of services that are competitively priced for any sort of budget. So if you only have a few boxes that you need to move into storage then our basic deals could be just what you need, however if you are organising a complete house or office move then you may want to make sure you get one of our incredible comprehensive deals. Including everything from modern van hire to expert moving men, our all-inclusive deal can give you the support that you need. For small moves, our man and van team can even be booked for as little as half an hour and can help you with short trips or as little as one piece of furniture. In contrast to other man and a van teams, our firm will never try and charge you for any additional time or services that you don’t use and will always offer you the best price around. To see for yourself, call our Man with Van London van and man hotline on 020 8746 9686 now! As well as offering excellent value for money, our man with a van team are also incredibly well-equipped to deal with any sort of home or office move. So if you have specialist machinery or delicate furniture which you want to move then we are confident that there is no one better to work with than Man with Van London. All of our removal vans are modern and well-maintained and will never break down or cause any damage to your treasured items. Our large removal vans also have tail lifts for easy loading and time saving, while our smaller vans are perfect for light moves and smaller items. If you’re working to a deadline and need more than one van to get things going then our team can even allocate you a whole fleet of vehicles to make sure that your move goes to plan. 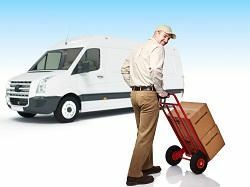 If you’re not sure what sort of man and a van package you need then don’t forget to ask for our help on 020 8746 9686. Our team will be happy to help you work out the best man with van service for your big day. If you’ve ever used a man and van service in the past and been disappointed with the level of service provided then make sure you use our exceptional firm instead. Our man with van team pride themselves on offering an excellent service and are guaranteed to leave you feeling satisfied with your overall package. For a start, our customer services team will always find you the best deal for your moving requirements before our professional moving team turn up to help on the day. All of our man with a van workers are highly skilled individuals who work with us on a permanent basis. Trained to meet our first rate standards, our movers will always provide you with a consistent and reliable moving service. So if you have heavy furniture or large boxes which you need help to move, don’t rely on favours from friends and family members. Our van and man services are the obvious option for all of your moving requirements and can make sure that you have reliable movers, modern vans and a great range of packages to meet any budget requirements. If you’re still not sure then why don’t you give our customer services team a call on 020 8746 9686 to see what incredible deals we have on offer.